Situated in vibrant Geylang, Hotel 81 Star is a 10-minute walk from Aljunied MRT Station. Only a 20-minute drive from Changi Airport, it offers budget accommodation at a convenient location. Star Hotel 81 is a 15-minute drive from Orchard Road and the Central Business District. Also, Bugis Street is just 3 stops from Aljunied MRT Station. 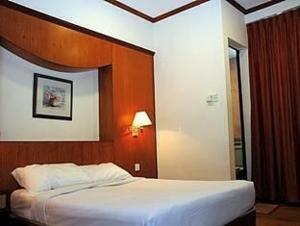 Each room at Hotel 81 Star is equipped with satellite TV, a minibar and tea/coffee making facilities. A private bathroom with hot shower is attached in all the rooms. Guests can make city tour bookings at the front desk. Laundry service and ironing equipment are both available upon request. Local dishes can be found in the eateries and coffee shops along the Geylang district. Rooms: Hotel Rooms: 204, Hotel Chain: Hotel 81.